long fanned out tail with white outer feathers and dark center feathers (you can see this in the second photo). 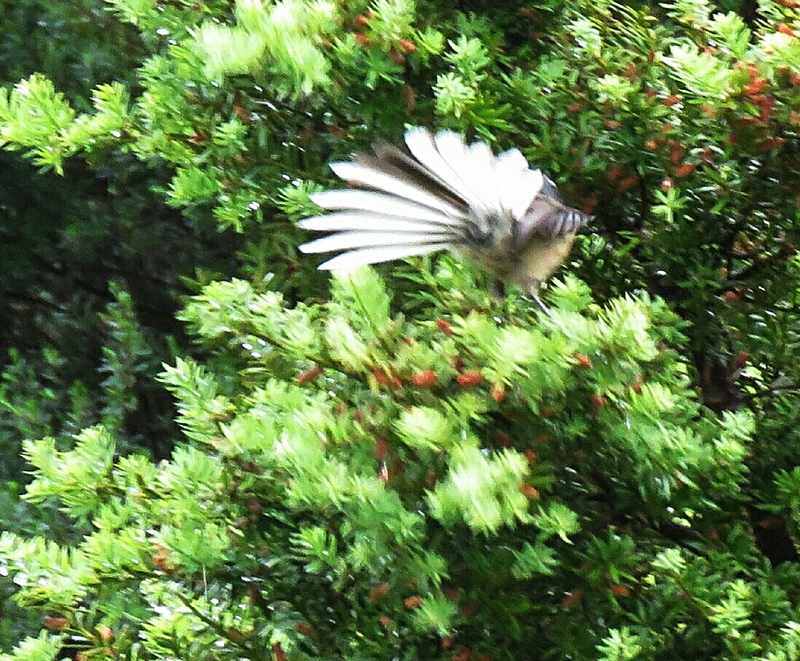 Also, the fantail is yellowish below. 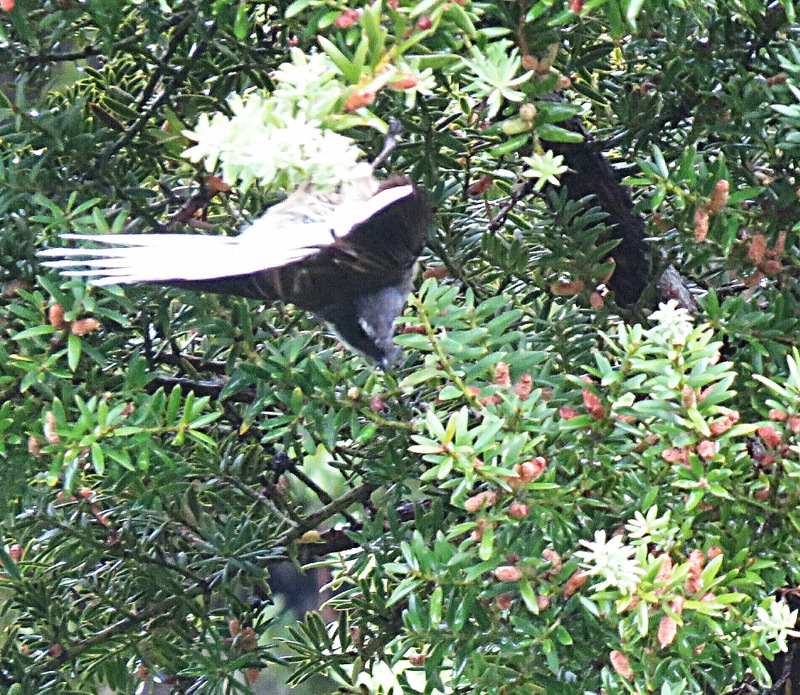 The New Zealand Grey Fantail is a new species to our Photographic Life List, which now stands at 730.